The Report’s winners have consistently included the Nordic nations. This year Finland took the top spot from those nations (Denmark, Norway, and Iceland) and found the U.S. dropping back five spots from 13 in 2017, to 18 in 2018. The top ten nations on this list – Finland, Norway, Denmark, Iceland, Switzerland, Netherlands, Canada, New Zealand, Sweden, and Australia – share a different set of priorities. Each nation prioritizes cultural concerns such as social cohesion, a strong safety net, and universal healthcare as important (or more important) as GDP or economic measures. Each nation has learned to transform limited economic wealth into maximum individual wellness and is willing to use government to achieve these ends. Policy plays a key role in establishing conditions for wellness, well-being, or happiness. This view of life in Denmark (short video clip) reveals the roots of happiness in the culture and public space. In America, we emphasize economic drivers. We focus on GDP, tax breaks, trade policy, and financial deregulation – to define “success” — at the expense of social cohesion. 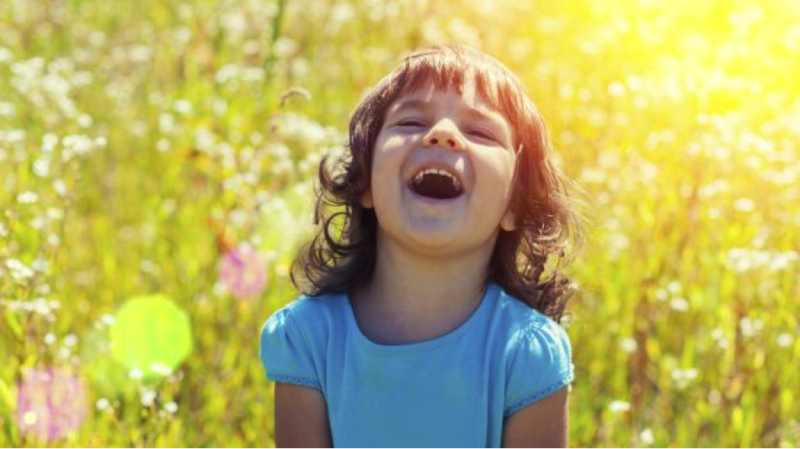 The Happiness Report, however, includes a fuller view of life and satisfaction. It embraces 1) income, 2) life expectancy, 3) having someone to count on in times of trouble, 4) generosity, 5) freedom and trust, as measured by the absence of corruption in business and government. By this measure, America ranks 18! In a way, America suffers both from incredible economic success, and its single-minded focus on economics as the only definition of success. As such, we are blind to any possibilities and policies beyond economic goals. In the mid-70s, the economist Richard Easterlin showed that despite a steadily growing American economy over the previous decades, the average happiness had remained almost unaltered. The ‘Easterlin Paradox’ suggests that there is no link between the level of economic development of a society and the overall happiness of the citizens. Life satisfaction does rise with average incomes but only up to a point. Beyond that, the gain in happiness goes down. Another attribute of this effect is the relative versus absolute economic growth in wealth. People whose income has steadily increased can still become unhappy if such increases are relatively anemic compared to those at the top. In other words, if I continue to make more but have fewer healthcare options or opportunity, then I experience the diminishing returns of any increase in income. Economic inequality drives much of America’s slippage: a select few do well, as others suffer from lacking social cohesion. 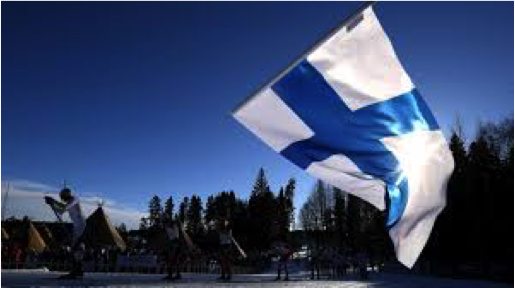 “GDP per capita in Finland is lower than its neighboring Nordic countries and is much lower than that of the US. 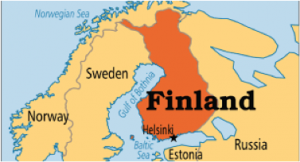 The Finns are good at converting wealth into wellbeing. Additionally, these nations all leverage economic benefit to better their people. For instance, consider that Norway (#2) maintains its high happiness not because of its oil wealth, but despite it. Oil prices remain weak in Norway, but by choosing to produce its oil slowly, and investing the proceeds for the future rather than spending in the present, Norway has insulated itself from the boom and bust cycle of many other resource-rich economies. 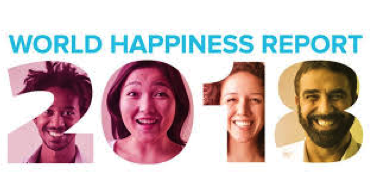 For the second year, the Happiness Report has a chapter (7) focusing on America’s decline. It identifies three interrelated issues that lack sufficient public policy: Obesity, Opioid Crises (and drug overdose in general) and Depression. These issues not only emerge in the face of anemic public policy and feckless government responses, they also are met with healthcare philosophy at odds with the top ten nations: In America, healthcare remains a privilege, not a right. — Between 1938 and 2007 studies show a cultural drift in psychopathology toward extrinsic goals such as materialism and status, away from intrinsic goals such as community, meaning in life and affiliation. — The U.S. tops the world in the purchase and consumption of sugar in processed and packaged foods and beverages. It averages 126 grams/day compared to a global average of 34 grams/day. — Since the 1970s, the U.S. has promoted corn production to lower the costs of producing high-fructose corn syrup as a major food additive. — There’s now evidence that suicide rates between 2010 and 2015 have risen in adolescence and are correlated with the use of new screen technologies such as the smartphone, video games, and social media. New screen-technology behaviors can create feelings of loneliness, isolation, and alienation rather than encourage interpersonal interactions. — Video games seem to have six attributes linked to addictions: Salience, mood modification, tolerance, withdrawal, conflict, and relapse. Finally, the notion of happiness – well-being or wellness – ought to be of concern for business and leadership! Our government, such as it is today, tends to react to public pressure. Whether regulating social media, managing climate change, developing energy solutions, or upgrading our healthcare system, businesses, and social movements can impact change. 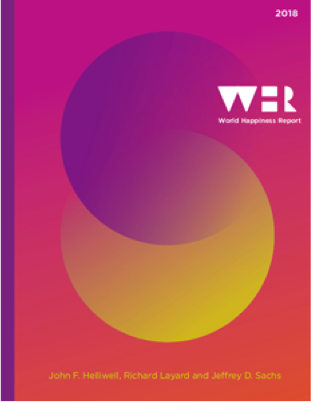 Moreover, the human cost outlined in this Happiness Report will take its toll on business. Either through increased costs of healthcare, living wages or demands such as family leave; or, through highly organized boycotts against products, corporate practices and cultural policies that no longer serve our national well-being. This all comes down to leadership. The political process in America is broken and must be prodded – often shoved — to do the right thing. Leadership in business, education and community-based organizations must demand new cultural norms and satisfaction with sustainable practices and policies. In other words, our definition of success using economic indicators is coming up against cultural values that require much more attention and awareness. As stated in the final chapter on America in the Happiness Report: The challenge of well-being is a matter both of high politics and economics and the sum of individual and community-based efforts. His focus includes ontological inquiry, into the nature of being; Integral theory to include Eastern wisdom and practice with Western learning and business models; and, Zen Buddhism to sustain contemplative practice.